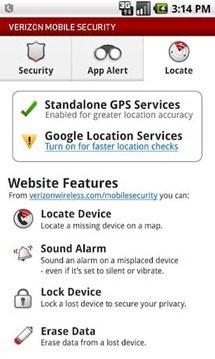 This morning, Verizon announced it was launching a brand-new mobile security app for Android. 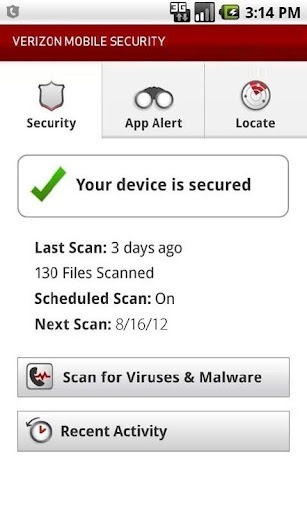 It's called Verizon Mobile Security. Catchy, right? 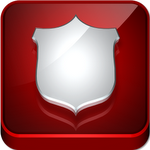 Fact aside that like most mobile security apps the "malware and virus protection" feature is basically worthless unless you're visiting Chinese / Russian warez sites on a regular basis, this app does bring one thing of value to the table: remote track and wipe (for $2 extra a month, $1 a month if you have a Verizon Equipment Protection plan). 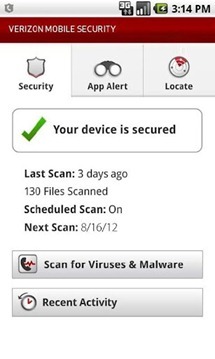 Which, it's fair to note, Avast will give you for free, with an app that does other useful stuff. But, if you're an unwitting Verizon subscriber, there's a good chance you might be interested in this, if only because Verizon puts it out. To get any sort of useful features, you have to pay the aforementioned $2 (or $1) a month. You do get a web tracking and wipe interface, so there's that. But really, this app doesn't do anything exciting or novel that we haven't seen before. 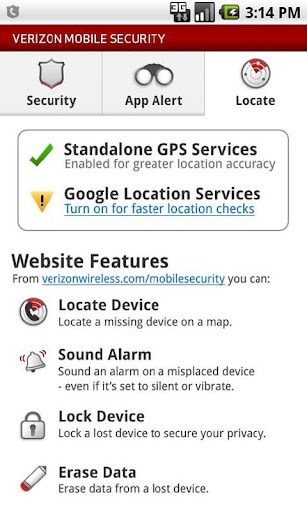 It's not particularly pretty, has a persistent notification icon, and, well, it's a Verizon app. That rarely bodes well, and brings me to my next point. 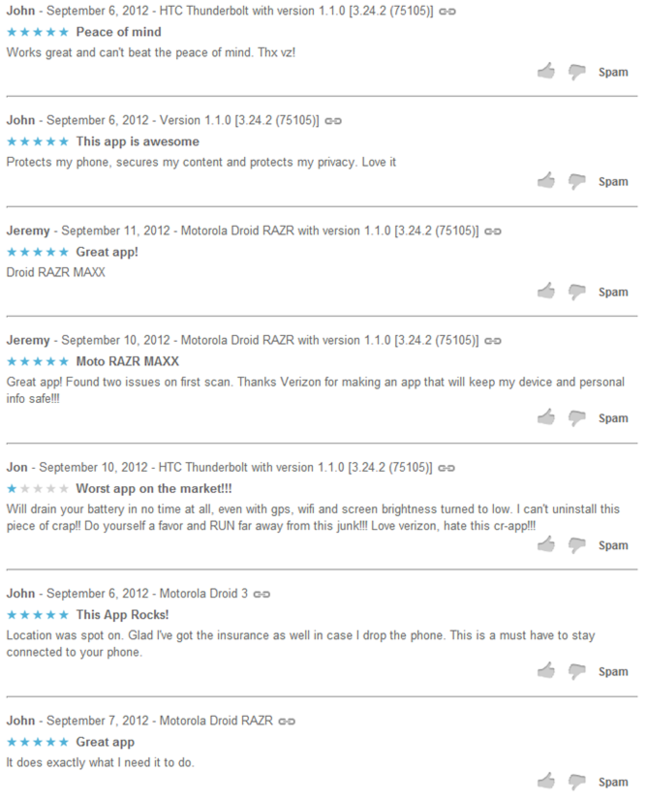 John and Jeremy must really love phones and mobile security apps. The three 1-star reviews all complain of big battery drain, and two also mentioned overall drops in system responsiveness. Lovely. 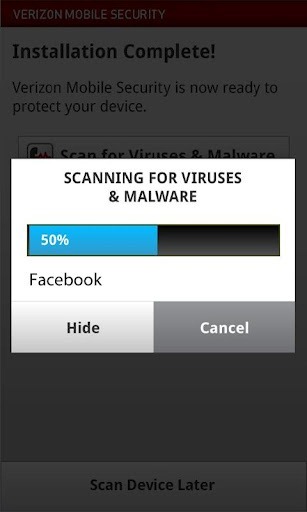 We'd say proceed with caution on this security app.